SynapseIndia recruitment team is looking for HTML programmers to join our Noida team. We are a team of 500 professionals with expertise in various design, development and marketing areas. The environment is relaxed and fun. Besides the experience & expertise in core technical skills, we are most interested in you as a person. We are continuing to expand our services and we need you to do that! At SynapseIndia, we believe in face-to-face communication & transparency. As a part of our team, and you will deliver HTML5/CSS/JQuery projects from wireframe, visual and blueprint components. 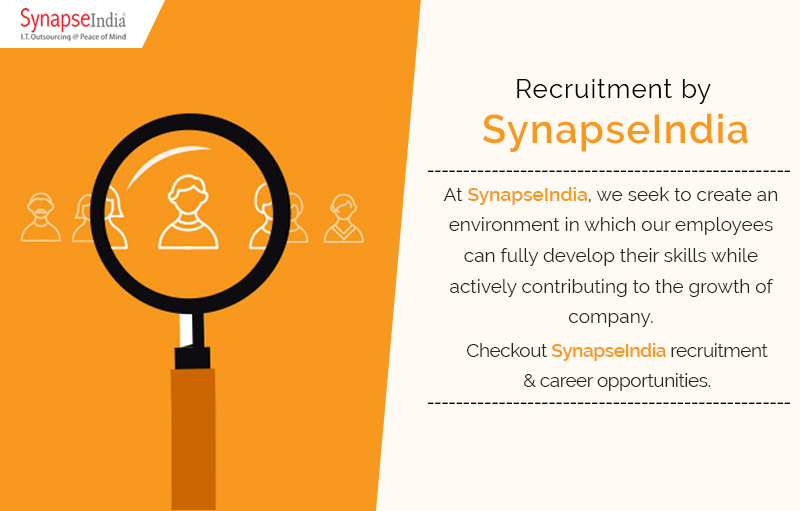 Get in touch with SynapseIndia recruitment team for more information.